The Golden boy is an award given by sports journalist to the best U-21 player for the calendar year playing in Europe. 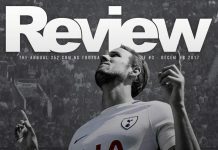 It is one of the most prestigious awards in European football and can usually be a pointer to the potential that a player has and just how well his career would go. 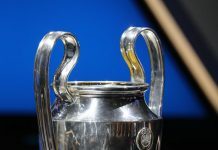 The award which was started in 2003 has been won by some high-profile names with the likes of Wayne Rooney, Lionel Messi, and Paul Pogba all winning this award. The shortlist for the 2017 golden boy has just recently been announced and here is a look at all of the players. 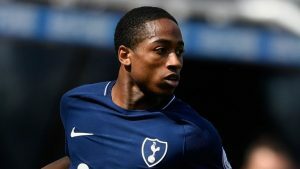 The versatile English fullback impressed tremendously for Spurs U23 and also marked his Premier League debut with the MOTM award against Newcastle at St James’ Park in a 0-2 win for the North London club. He was also a key member of the England U20 team which won the U20 World cup in Korea. 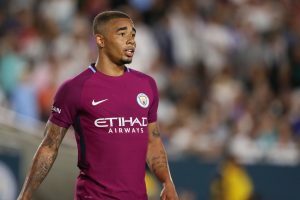 The 20-year-old is one of the six English nominees and is rapidly making a name for himself in the big times, drawing comparisons with namesake and former Spurs defender Kyle Walker who departed for Manchester City this summer with his fine displays which have earned him a spot on the Golden Boy list. He has the artfulness of an attacking midfielder and also the pace of a snappy winger. Youngest American player to score in a World Cup. Youngest foreigner to score in a Bundesliga match. Youngest player to play (and score) for Borussia Dortmund in a Champions League fixture. 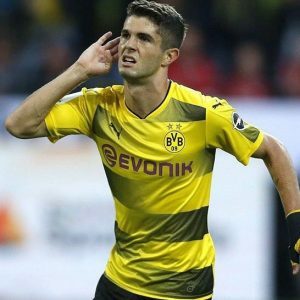 Amongst others, New Jersey native Christian Pulisic has managed to break multiple records for both club and country and he is just 19. Despite the arrival of Ousmane Dembele, Andre Schurrle, Mario Gotze and Emre Mor, Pulisic still found his way into Tuchel’s BVB side, week in week out and may soon find himself a new home in Madrid. Another member of the Millennium Generation Z, Pulisic has continued to exceed expectations for his club and also has established himself as a key part of Bruce Arena’s US Men National Team. At such a young age, he possesses pace, control, and trickery that is synonymous with talented attackers. What makes him stand out, however, is the maturity he possesses that is relatively inconsistent with his age. While his decision-making still leaves a lot to be desired (experience usually clears that off), if he continues to follow the same trajectory he has for the past few years, he is definitely on course to be one of the world’s best players. Unal will definitely be one of the young players to watch in the 2017/2018 La Liga season as the former Manchester City trainee was in irresistible form for FC Twente while on loan with the Dutch side where he scored 18 goals in 32 Eredivisie games placing him 5th in the scorer’s chart only three goals from the highest tally and at least 6 years younger than anybody above him. 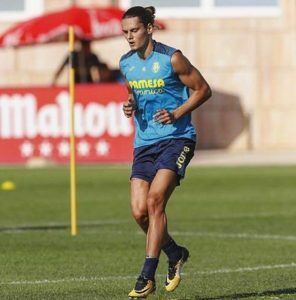 Already a full Turkey international, Unal’s potential is almost unmissable and the flashes he showed in the 2016/2017 season were enough to earn him a shot at being crowned the best young player in the world as well as a lucrative move to Villarreal where he can grow and build on his already impressive start to his career. For both club and country, Jesus plays in the midst of great players but still finds ways to prove himself. So far, the Brazilian and City starlet has managed 11 goals and 4 assists in 15 EPL appearances for Manchester City, averaging 1 goal every 89 minutes. For Brazil, he’s not left out as well, in his last 9 appearances he’s managed 5 goals. This season he’s already hit the ground running with 4 goals in 5 appearances in the league for Manchester City. It is easy to see why Jesus has been so prolific for club and country, his intelligent runs and finishing ability mean that he is one of the best youth forwards around better than Rashford, and indeed one of the best full stop. At just 20 years of age, the sky is the limit for the young lad from Sao Paulo. Signing for a team as big as Madrid speaks volumes, doesn’t it? You have to be a super talent to play for the Los Blancos and that is just what Theo is. 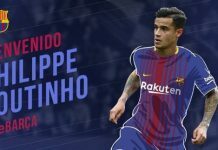 Signed from rivals Atletico Madrid after an impressive loan spell at Alaves where he played a crucial part in the team that made it to the Copa Del Rey final in which he scored a brilliant freekick against Barcelona. Theo was arguably one of the best left-backs in the 2016/2017 season and with his pace and excellent technique he looks the best deputy to Marcelo at the left fullback wing. Theo made 38 appearances for Alaves and started 36 of those scoring 3 times and making 2 goals. His time at Alaves attracted interest from Europe’s heavyweights like Barcelona and Real Madrid – who were willing to break the gentleman’s agreement they had with neighbours Atletico just to sign the teenager and in the end, it was the Real the young French man chose to play for. 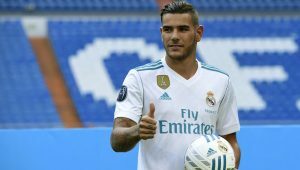 Theo has already made 2 starts for Zidane’s side this season and despite having Fabio Coentrao out on loan I think Madrid will be pleased they have another reliable left back in Theo Hernandez.